Preparing to pass the business to the next generation is the toughest challenge for a family business. Preparing to pass the business to the next generation is the toughest, most critical and long-term challenge for a family business. Generational transitions bring about change at an individual, family and business level. 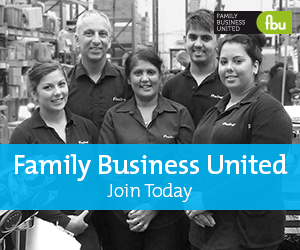 The natural progression of a family business is that ownership becomes more diverse with every generation. It is never too early to plan for succession as this issue needs to be addressed before it becomes personal and emotional, and can therefore be addressed comfortably and rationally. Families approach succession in different ways - the strategically oriented family develops new behaviour and anticipates change,whilst the adaptive family acts as soon as change is signalled, on the other hand the reactive family is forced to change by events that have occurred. Transition planning needs to take into account business issues as well as the multiple roles and complex relationships within families. The application of justice in generational transitions is more complex in family than in non-family businesses due to the family component. Lack of fairness in transitions is a source of conflict. Fairness improves performance while also increasing commitments and the satisfaction of family members. There are a number of positive contributors to generational transitions such as- good relationships between the current leaders and successors; a strong and involved board of directors; the wholehearted commitment of the current leaders and willingness for succession on the part of the next generation. The engagement and involvement of all stakeholders in discussions, the ability to manage conflicts, the way stakeholders learn and work together, and the willingness to unlearn current behaviour to embrace the new, also have positive effects on change. The work of the next generation both within and outside the family business is anotherimportant factor that contributes to effective succession. The communication between generations supports the clarityabout the process of transition and increases the awareness amongst the current leaders in the family about the nextgeneration’s perceptions and interests. As the family gets larger, the need for higher shared goals, the appreciation of the validity of different realities and communication all gain in importance. Professional help may be needed for deep-seated issues in the family. Setting up a task force to specifically address succession may be a way forward for family businesses who commit themselves to planning for succession. The succession planning system needs to be tailored to the family business culture, strategicplan, the skills required by leaders and the operating environment. Within the family system, the family council, family meetings and family constitution all contribute to laying out the ground rules that include succession and thereforeminimise the threat of the family business being damaged by conflicts within it. Transitions are a long process that require policies stating when and how family members become eligible for employment as well as the level of required commitment that must be made. Without freedom to choose the successors are less likely to make a strong commitment. A personal development plan for successors is recommendable.This is a road map that describes the skills and attributes the successors already have, the skills and attributes they need to develop and the programme for acquiring such skills, together with a means for measuring progress. As the successors take the role of managers they must demonstrate an ability to assume responsibility as well as supervise others. Strategic planning in this stage of thetransition process is a key developmental tool. When the senior generation retires, the task of transforming the entrepreneurial vision into a shared mission that can inspire others is in the hands of the successive generation. Family businesses reap the benefits of succession planningensuring its continuity with minimal disruptions. The next generation have time to adjust whilst current leaders make retirement plans. The role of the senior generation is crucial. Top executives always remember how much work has gone into building anorganisation, but they often forget that the same amount of effort is necessary to ensure organisational survival when itcomes to pass the baton to a new group of leaders. Recommendations to the senior generation could be- to define one’s goal for the family business; recognise and openly praisethe accomplishments of the next generation; encourage learning; increase responsibility of the next generation; make an early announcement and plan for one’s retirement. The latter is feared by a number of leaders who have a negative attitude towards retirement. Retirement is a taboo subject in some family businesses. On the other hand the next generation is encouraged to fosterchange whilst preserving the past; take responsibility for their own education and development; set aside parent-child relationships in relating to the senior generation; and feel empowered to build skills, credibility and cohesiveness.